Don't let the sale slip away! Take 20% off 2 pairs of footwear or 30% off 3 pairs or more at Mitju! Available both in-stores and online at www.mitjuonline.com. What's more, spend $150 or more in a single receipt online and receive a $10 e-voucher for your next purchase! Limited time only. Terms apply. Didn't shop enough Pre-CNY? Start the new year with a comfortable pair of Mitju shoes! 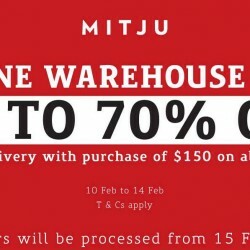 Mitju is having a Post-CNY Online Warehouse Sale from 10-14 Feb 2016! Up to 70% off for selected designs. What's more, buy 2 pairs of shoes priced at $14.90 at only $20! There's no time to wait. Let's get going! Shop for your new shoes and bags at Mitju with their 50% off 2nd item sale! Promotion in-store and online with free shipping for orders above $70. Chinese New Year is just around the corner! Have you ladies started your CNY shopping yet? 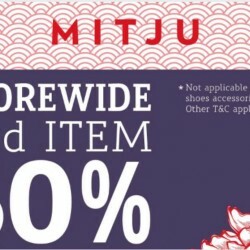 Shop your favourite shoes & bags with MITJU today at Storewide 50% off 2nd item! Promotion is available both in-stores and online. T&Cs apply. Till 10 Jan 2016 Mitju: Up to 50% OFF Sale at Ion Orchard! Mitju is moving out of ION Orchard #B4-28 and they're now having Up to 50% off sale! Hurry down now to MITJU ION Orchard #B4-28 this week. 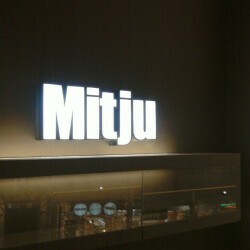 The nearest MITJU new concept store is now open at Wisma Atria #B1-15! Share this post with your friends today! Oh no, it's Monday again! Fear not, we will beat the Monday blues with your favourite word: SALE! 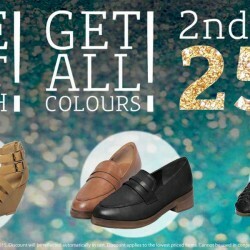 Take 25% off 2nd pair of shoes purchased online at www.mitjuonline.com from now till 4 January 2016! Happy holidays! Till 26 Nov 2015 MITJU: Take 11% OFF + FREE delivery to your doorstep. Come and enjoy MITJU offers their 11% OFF + FREE delivery to your doorstep. You can now shop at ease in the comfort of your homes Ends 26 Nov. Visit us here Online exclusive promotion. 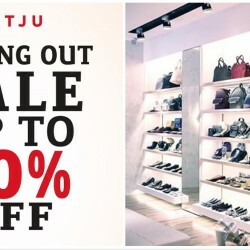 MITJU: Celebrates 11.11 SingleDays @50% OFF All Regular Items. Enjoy and celebrates 11.11 singles day with all thier fans. On this very special day, enjoy 50% OFF all regular-priced items with discount code 'SALE50' on here. Offer ends in the next 24 hours Term and Conditions apply. Have a spooktacular Halloween with Mitju this weekend! Take 15% off all regular-priced items from now till 1 Nov! Shop with them here. Online exclusive promotion. Happy Tuesday 'SHOESDAY'! Here's your chance! 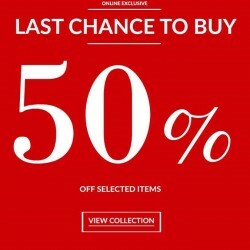 Take 50% off selected items when you shop at Mitju Online Store. While stocks last! Visit them here. Online exclusive promotion. SALE EXTENDED! 25% storewide discount off all regular-priced items at here! 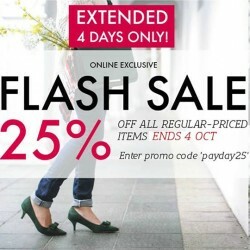 Ends on 4 October 2015. Simply enter “payday25” at checkout for the discount to be applied. Visit them now: here. Online exclusive promotion. 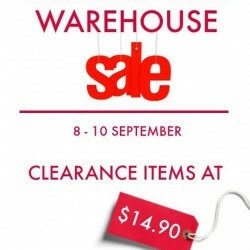 Mitju is having an online exclusive warehouse sale from 8-10 September. All clearance items at $14.90 only. Log on here to grab your favourite shoes before they are gone. Selected items on while stocks last basis. Sale items are non-refundable. Terms apply. Your Tuesdays just got better! Take 20% off all regular-priced items at here from 18th to 20th August. Simply enter “SWEET20” at checkout for the discount to be applied. Online exclusive promotion. Enjoy to celebrate the 50th birthday of our country, Mitju would like to offer all our customers 50% off the 2nd pair of shoes purchased at any of our 6 stores island-wide!Term and conditions apply. Happy Labour Day, Ladies! We know you have worked really hard. Now it is time to reward yourself with your favourite pair of Mitju shoes. 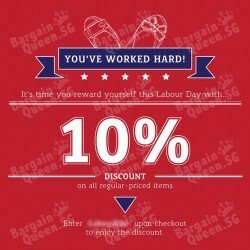 Enjoy 10% off all regular-priced items on this Labour Day long weekend! Online exclusive. Enter Click to show coupon at checkout to enjoy the promotion. Ends on 3 May, Sunday. MITJU WAREHOUSE SALE IS BACK! 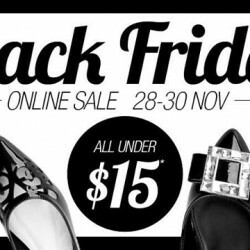 Grab hold of your favourite shoes this Easter weekend from as low as $14.90! No women can resist beautiful shoes, what's more, at such affordable prices! Sale items are non-returnable. Wait no longer. This is an online exclusive event. MITJU SALE! Over 1000 Items Up To 50% OFF! Limited time only! Whilst stocks last! Mitju has reached 28k followers on Facebook! To thank you for your great support, take 10% off all regular-priced items when you purchase from Mitju online. Enter promo code below upon checkout to enjoy the privilege! Promotion ends 15 March 2015, 2359. Happy Chinese New Year! 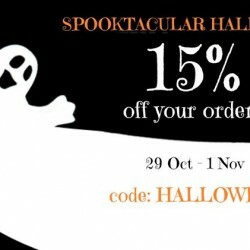 Get 15% off with minimum 3 items! Members get an additional $8 e-voucher! Applicable at Mitju retail stores only. Visit them soon! Happy Black Friday! Enjoy shoes under $15 over at Mitju. Enjoy! 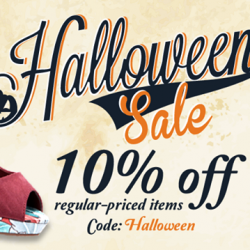 Halloween calls for a SALE...just because Enjoy your "spooky" weekend ladies! Enjoy 10% off regular prices items from Mitju online now with code. Mitju is having a F1 Weekend Online Exclusive, and you can get 15% off regular-priced items using the discount code! 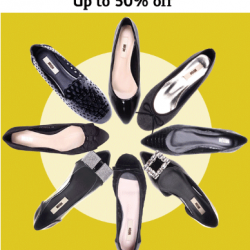 Shop shoes on Mitju online and get 50% off selected styles! Free delivery with min. 2 pairs purchased.